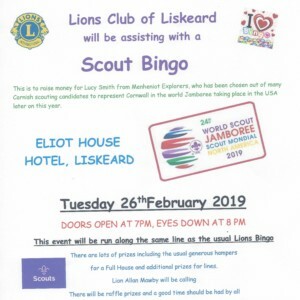 Liskeard Lions will be assisting with Scout Bingo at the Eliot House Hotel on Tuesday 26th February at 7pm, eyes down at 8pm. 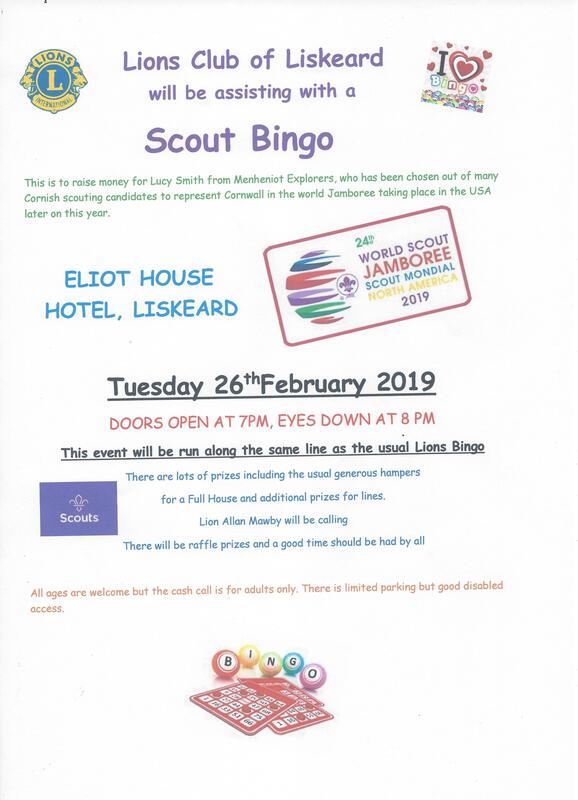 They are raising money for Lucy Smith from Menheniot Explorers who has been selected to represent Cornwall at the 24th World Scout Jamboree in West Virginia USA. There are lots of prizes including the usual generous hampers for a full house plus additional prizes for lines. Lion Alan Mawby will be calling. All ages welcome but the cash call is for adults only. There is limited parking but good disabled access.